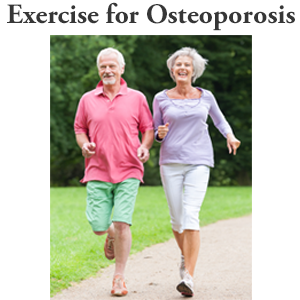 The Heel Drop Exercise is a Beginner level strength osteoporosis exercise and is part of the Exercise for Better Bones program. The Heel Drop Exercise targets the calf muscles and the hips. Follow these instructions to complete the heel drop exercise. Be sure to follow the instructions carefully. Maintain your best postural alignment when doing the heel drop exercise. This is important for all exercises and especially important with your heel drop exercise. Keep your feet hip-width apart with knees ever-so-slightly bent, or unlocked. Keep the back of your ear over your shoulder. Engage and recruit your tummy muscles. 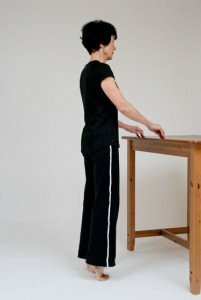 Hold a surface in front of you with a firm grip to ensure that you have good balance. Lift yourself onto the balls of your feet — onto your toes and the balls of your feet. To do the heel drop, you literally drop your heels onto the floor. How hard you want to drop (and cause impact) depends on your fracture risk. If you’re at a low fracture risk, you can go for it and drop really hard. If you’re at a moderate fracture risk, you might want to drop moderately hard. At a high fracture risk, drop a little bit more gently. A high velocity drop would look like this (demonstrated in the video), where there’s a lot of pounding. When they looked at a study where they actually put force transducers in the hip, it was approximately three times the body weight. So it’s very forceful. If you don’t want to drop quite so hard, you can come up and let your muscles take some of that force. If you want to get the benefits of strengthening your calf muscles, but without the pounding to the skeleton (perhaps because of joint pain or as a result of a compression fracture), then come down gently. That is the heel drop exercise. If you have any joint pain in your lower body or have had a compression fracture, then you should lower your heels gently rather than drop quickly. If you have stiffness or pain in your toes, I suggest you wear running shoes while doing the heel drop exercise. You can do this exercise even if you have had hip or knee replacement. Consider lowering your heels gently instead of the sudden drop. If you experience incontinence or if you have had a prolapse, consult with a pelvic health physiotherapist before doing this exercise. They will likely prescribe a set of exercises specific to your pelvic health. In Exercise for Better Bones, I provided a detailed workout plan that recommends the frequency of this exercise (and other exercises in the program). The first study listed below, by Bassey and Ramsdale and published in Bone, showed a “maintenance effect” in postmenopausal women who were more than 6 years postmenopausal. 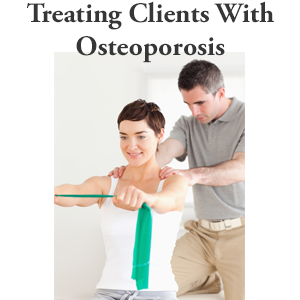 During the menopausal period “maintaining is gaining” because you are not losing bone. In the book, AstroFit, the author refers to Bassey’s research which leads her to believe that “heel drops exercise are an easy way to preserve and increase bone mass in premenopausal women.” The authors recommends that if you are a premenopausal women that you perform the 50 repetitions of the exercise 5 times a day. I am at -2.3 in my lower vertibrae. Would this be good/bad or not applicable to my spine? My hips are much stronger. Thank you. Can you provide your reference? 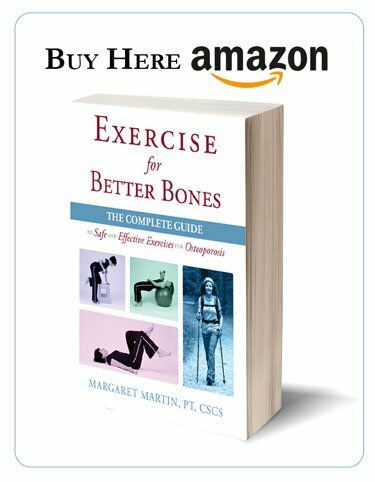 Very interesting Margaret – looks like an ideal way to increase the stress on bones for those who cannot or should not walk forcefully. This is a new one to add to my repertoire! I had a herniation at L4/5 in 2011 that has healed and have been told I have osteopenia in the hip. 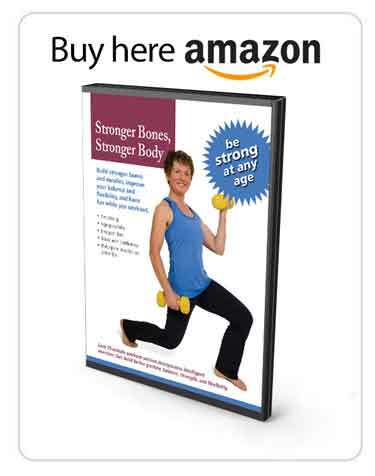 This sounds like a great way to build back the bone density, but am wondering about the impact in the low back. I love this exercise. I do calf raises with my class but I can see very different benefits from the dropping of the heels. I will incorporate this into my workouts. Thank you as always for you working to improve bones. how many heel drops per day?? How many in on session? Hi Maria, Be sure to encourage your class to engage their pelvic floor muscles with a gentle blow as they go down on their heels. For individuals who may have prolapse or weak pelvic floors the loading may be too much. Hi Kirsten, So long as you maintain good posture it should be fine. Start with 5 see how you do. If your back tolerates you can just spread them out through your day. Your bones appreciate a little stimulation often rather than all at once. The studies would break up the heel drops throughout the day. Hi Bonnie, Not as effective as walking especially when it comes to cardio and overall wellbeing but on those icy, cold days or for those as you say that cannot walk forcefully it is another approach. The studies showed better outcomes in premenopausal women and women who were more than 6 years post menopausal. Hi Helen, The heel drops is not enough loading to have an effect on your spine. Upper body strength training including Floor M’s (as they are referred to in Exercise for Better Bones) is your best approach. Hi Robin: The references are now posted in the updated article. Thanks for asking.